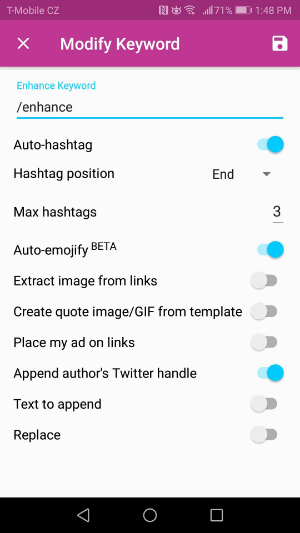 The dynamics of your Enhanced posts, including hashtags and/or emoji that are automatically added, author-attribution, and several other options. You'll see that you can get event or brand hashtags added at the end, replace words with hashtags, emoji, etc., and place an advertisement on URLs in your social posts - to ensure you get measurable social ROI. How to customize what Enhance does. 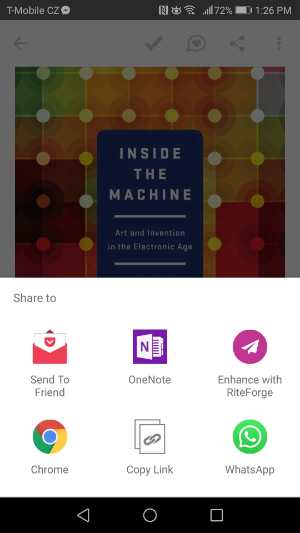 Whether it's Pocket, Feedly or any other article you would like to share, tap Share button to open the native Share dialog. The first time, you may need to scroll further to find Enhance with RiteForge option. It will automatically open RiteForge Composer with the URL of the article as the text of the post. 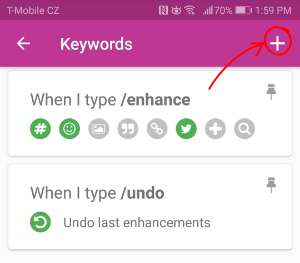 RiteForge can create good looking post in one tap on the Enhance magic wand. 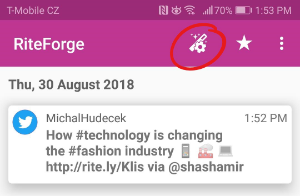 It will automatically add hashtags, emoji, author attribution and more. See the section below on how to customize the automatic enhancements with Enhance presets. 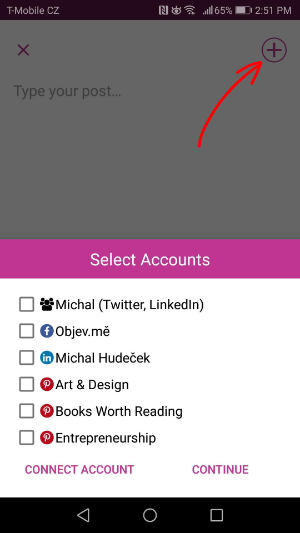 You can select to which Facebook, Twitter or Pinterest accounts is the posts supposed to be sent to by tapping plus button at the top right corner. 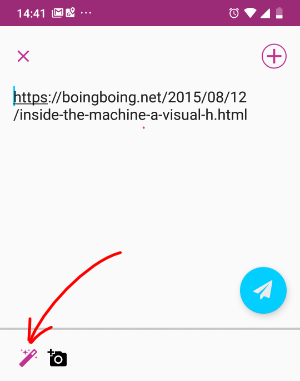 When your post is ready, tap the floating paper plane button at the right bottom of the screen to show scheduling options. Tap the settings button to get to the list of Enhance presets. Tap on existing preset or add a new one by tapping on the plus button at the top of the screen. Adjust the settings as you wish and tap Save at the top right corner. When you open the RiteForge app, the first screen you'll see is the list of your queued posts. 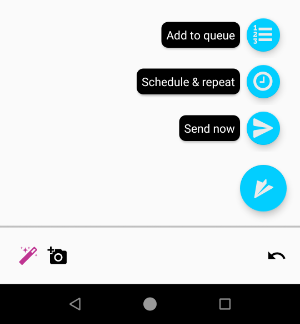 Tap on any of the posts to edit or reschedule. For link shortening, set that up in RiteKit Enhance Settings tab, where you can set Rite.ly as your shortener and get calls-to-action going on on URLs in your social posts. Rite.ly Link Ads can be video, image or text Link Ads with full branding, for just $15/month. Rite.ly even has a basic free version, with your login social profile for the Link Ad button target (where people go if they click the call to action button in your Link Ad).